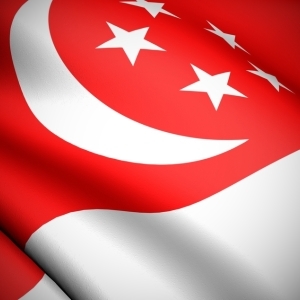 Singapore company registration specialist Rikvin has today published a guide on Singapore’s Innovation & Capability Voucher (ICV). The ICV aims to encourage more Singapore SMEs to enhance their capabilities by upgrading in four areas – technology innovation, productivity, human resources (HR) and financial management. In gist, it is a S$5,000 voucher which helps SMEs pay for services in these areas. In light of the current economic slowdown in China, which has dampened regional business sentiment, we think that this is an opportune time for small enterprises to enhance their capabilities. Some of the innovation services offered include business and legal diagnosis for intellectual property followed by customer insights. Productivity services include ISO 9001 and HACCP quality management programs as well as service excellence programs such as service diagnosis, mystery audits and service improvement. In addition, the diagnosis, improvement and benchmarking for productivity management, as well as energy efficiency audit programs are offered under this category. HR services include programs in manpower planning, recruitment and selection, compensation and benefits, performance management, learning and development and career management. Financial Management services include planning and budgeting, cashflow and working capital management as well as financial controls for SMEs. All SMEs must be Singapore registered companies with at least 30% local shareholding in order to be eligible for ICV. In addition to being physically present in Singapore, group annual sales should not exceed S$100 million. Alternatively, the group employment size should be no more than 200 employees. All applications must be submitted through the ICV Online Portal and applicants will know of their results within two working days. “We are optimistic that companies that use this time to bolster their capabilities will be in good stead to grow when the upturn comes,” Mr. Bakhda affirmed.